How would you handle knowing exactly what the people around you thought of you? Antonius took the high road, striving to grant the people around him their privacy. And yet remaining very much a boy. The tension between the two creates problems for both Antonius and his family, but also shows a level of promise that encourages the town's Seer to take him on as a favored apprentice. 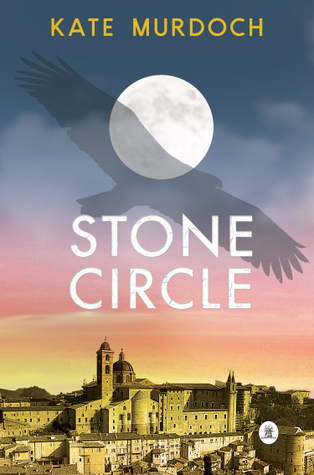 In Stone Circle, Murdoch has painted a picture of a good-hearted boy on the brink of adulthood. Antonius has been shaped by the unfortunate circumstances of his life as surely as Nicholas, the wealthy son of a local duke and co-apprentice of the town seer, has been shaped by his. The two vie for supremacy in all facets of their lives, and undertake the kind of hijinks you would expect from any pair of modern teenage boys. Set in picturesque Italy, the story showcases Murdoch's eye for visual description. While aspects of character development could have been stronger, the beauty of her writing makes her work well worth watching.